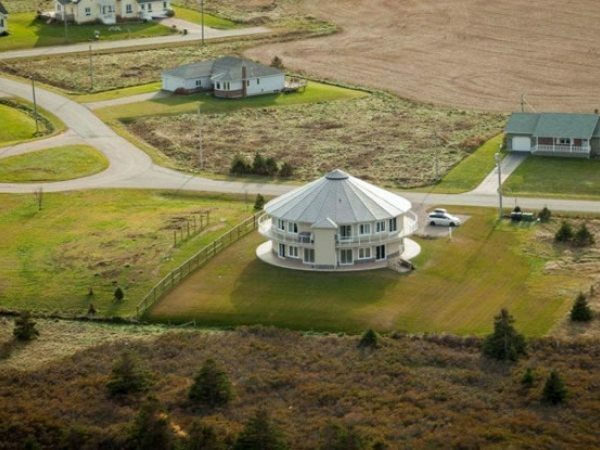 Come tour the 3000 square foot specially designed & engineered round basement supporting the 30 ton rotating “spider web” of Newcastle Australian steel above your head, upon which the entire house sits while overlooking the Provincial Park Beach. 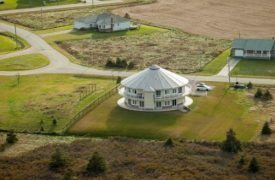 Watch a 15 minute movie about the history of rotating houses & the technology behind this feat of human engineering, including a time-lapse video of Around the Sea being built in the summer of 2012. Then take a trip up the spiral staircase to the upper deck overlooking the beach for outstanding views & complimentary refreshments while the house is rotating. *Tours are $5/adult or $15/family with all proceeds donated to the Children’s Wish Foundation and take place every Wednesday and Sunday from June 22nd to September 6th, 2014. Tours for ATS guests are complimentary with their stay.